Naturalized in Australia and New Zealand (GRIN). Widely naturalised in southern and eastern Australia (i.e. in south-eastern Queensland, the coastal districts of southern and central New South Wales, the coastal districts of Victoria, Tasmania, many parts of South Australia, and the coastal districts of south-western and southern Western Australia). Also sparingly naturalised on Norfolk Island and naturalised overseas in New Zealand and south-western USA (i.e. California) (Weeds of Australia Biosecurity Queensland Edition). Naturalized in Australia and New Zealand (GRIN). Widely naturalised in southern and eastern Australia (i.e. in south-eastern Queensland, the coastal districts of southern and central New South Wales, the coastal districts of Victoria, Tasmania, many parts of South Australia, and the coastal districts of south-western and southern Western Australia). Also sparingly naturalised on Norfolk Island and naturalised overseas in New Zealand and south-western USA (i.e. California) (Weeds of Australia Biosecurity Queensland Edition). Overlaps with California climate zones (Cal-IPC). Weed in New Zealand (Watch for these weeds: public help in weed led programs in Northland, New Zealand). Very serious environmental weed in New Zealand (The weed invasion in Tasmania since 1970). This species is regarded as a significant environmental weed in Victoria and as an environmental weed in New South Wales, South Australia, Tasmania and Western Australia. It was recently listed as a priority environmental weed in one Natural Resource Management region (Weeds of Australia Biosecurity Queensland Edition). McCluggage, A.. P., Sindel B.. M., & Johnson S.. B. (2004). Watch for these weeds: public help in weed led programs in Northland, New Zealand. 14th Australian Weeds Conference: Balancing people, planet, profit, Weed Society of NSW. Rozefelds, A.. C. F., Cave L.., Morris D.. I., & Buchanan A.. M. (1999). The weed invasion in Tasmania since 1970. Australian Journal of Botany. 47, 23–48. Weed in New Zealand (Watch for these weeds: public help in weed led programs in Northland, New Zealand). Very serious environmental weed in New Zealand (The weed invasion in Tasmania since 1970). This species is regarded as a significant environmental weed in Victoria and as an environmental weed in New South Wales, South Australia, Tasmania and Western Australia. It was recently listed as a priority environmental weed in one Natural Resource Management region (Weeds of Australia Biosecurity Queensland Edition). Overlaps with California climate zones (Cal-IPC). An exhaustive Google/Google Scholar search did not reveal any evidence of this and the question defaults to a “no” answer at this time. Primarily found in South Africa (zones 8a-12b), southwest/eastern Australia (zones 7a-12b), Tasmania (zones 7a-9b), and New Zealand (zones 8a-11b) with a few occurrences in California, South America, and elsewhere (GBIF). Grows best in zones 9a-11 (Dave's Garden). Primary distribution overlaps substantially with California climate zones (Cal-IPC). A nitrogen fixing, climbing woody perennial of the Fabaceae family. Reported to have a very rapid growth rate and can cover 3-5 m in one season. Can live for more than 10 years and the plant is also reported to smother all ground flora. Smothering all ground flora would effectively mean the formation of a monoculture. It is reported to grow over existing vegetation building up enough biomass so that the supporting plant collapses. It can form dense masses of dead stems and other biomass more than 1 m thick, including in riparian areas. As this growth would be worst where the plant has something existing to grow over it is unlikely to cause track closure. The thick mat of vegetation the species forms protects the soil surface from wind and water erosion. Highly invasive in heathland and woodlands Dolichos pea is reported to be able to ‘smother all ground flora”, bring down shrubs and trees and prevent regeneration. Being able to smother all species in the lower strata it is effectively forming a monoculture (Victorian Invasive Plants). Dolichos pea (Dipogon lignosus) can form dense infestations and in a relatively short period of time. These infestations smother all other vegetation and prevent the regeneration of native shrubs and trees. It climbs over shrubs and trees, weighing them down and eventually causing them to collapse. It can also spread across the ground, smothering any native groundcover plants that are present. As a nitrogen fixer, it can increase soil fertility and pave the way for other weeds to invade. It will invade both disturbed and undisturbed natural vegetation, and is of particular concern in coastal habitats (Weeds of Australia Biosecurity Queensland Edition). Tolerant of fire; mature plants may be killed but germination is stimulated. There is no specific data presented on this species effect on fire regime, fire kills mature plants and stimulates mass germination of seedling. The plant forms dense masses which contain dead material. The alteration of biomass and the creation of fire ladders as the species can grow up trees and accumulate dead material could alter the fire intensity. It is unknown however the flammability of the living material and therefore its effect on fire frequency (Victorian Invasive Plants). Seed stored in soil is substantially reduced by fire. Mature plants are fire sensitive. The Eurobodalla Shire Council (2004) states that, "A hot fire could be used to kill mature plants and stimulate the germination of seedlings, which can then be sprayed or pulled." (Global Invasive Species Database). However, an exhaustive Google/Google Scholar search did not reveal any additional evidence to support this hypothesis and the question defaults to a “no” answer at this time. The species was suppressed by grazing of wallabies and possums on Rangitoto Island. The plants presence expanded from a few vines covering a few square metres to many hundred plants covering almost a hectare in five after an eradication program of the possums and wallabies reduced their population numbers by 90%. There is no reported evidence of the species causing injury (Victorian Invasive Plants). Young pods can be eaten as a vegetable (Plantz Africa). Rarely invades crops or pastures (Herbiguide). It seems plausible that massive smothering infestations could alter carrying capacity in invaded pastures, but it was also noted to not be a major invader in pastures, and an exhaustive Google/Google Scholar search did not reveal any additional evidence to support this and the question defaults to a “no” answer at this time. It is reported to grow over existing vegetation building up enough biomass so that the supporting plant collapses. It can form dense masses of dead stems and other biomass more than 1 m thick, including in riparian areas. As this growth would be worst where the plant has something existing to grow over it is unlikely to cause track closure (Victorian Invasive Plants). Particularly likes growing up guy wires on telephone and electricity poles where it causes interference with supplies (Herbiguide). Growth over structures and other plants seems likely to impede access. Able to reproduce sexually, producing seed and vegetatively by suckering and the stems can layer. Spread by seed and rhizomes (Victorian Invasive Plants). Stumps resprout very quickly, cut stems root at nodes (Weedbusters). An exhaustive Google/Google Scholar search did not reveal any evidence of this and the question defaults to a “no” answer at this time. Moreover, this is a terrestrial plant that is unlikely to naturally fragment. Able to reproduce sexually, producing seed and vegetatively by suckering and the stems can layer. Spread by seed and rhizomes (Victorian Invasive Plants). This species mainly reproduces by seed, which can remain dormant for several years (Weeds of Australia Biosecurity Queensland Edition). Reported to produce thousands of seeds annually. Thousands would indicate more than 2000 seeds are produced annually. 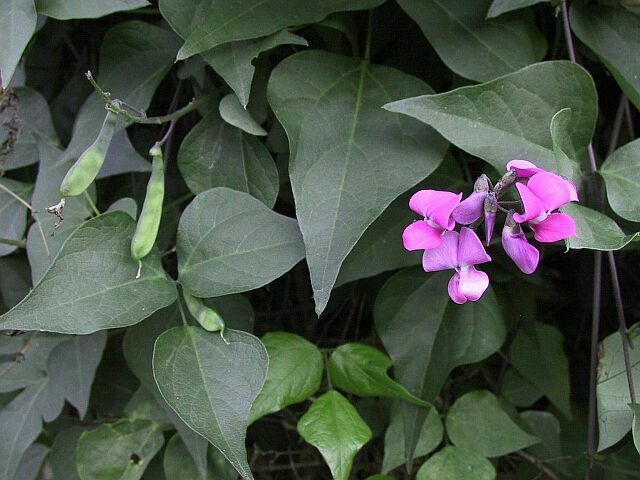 Produces prolific flowers (Victorian Invasive Plants). Seeds produced in moderate quantities (Weedbusters). Large plants can produce thousands of seeds annually (Herbiguide). Germination is stimulated by fire and soil disturbance (Muyt 2001). Blood (2001) describes the species as having prolific recruitment. This may indicate the species is an opportunistic germinator. Gandhi (1957) states that the above ground biomass is killed off by frost and then the plant regrows in spring. This may indicate a seasonal component, however in a frost free climate there may not be any restrictions on germination. The germination requirements of this species are unknown. Tolerant of fire; mature plants may be killed but germination is stimulated. Seeds can remain in the soil for several years (Muyt 2001). A more accurate period of seed longevity is not reported (Victorian Invasive Plants). This species mainly reproduces by seed, which can remain dormant for several years (Weeds of Australia Biosecurity Queensland Edition). These seeds can remain dormant for a number of years in unfavourable conditions, only germinating once a disturbance of sort occurs (e.g. fire, rain and seasonal changes). The bulk of the evidence points to secondary dormancy mechanisms that would inhibit significant germination without an unusual disturbance. However, fresh seed will germinate (Fakir 2013), but seed that is exposed to unfavorable conditions will enter secondary dormancy and emerge when conditions are favorable. Since fresh seed will germinate, the question is answered yes. Fakir, M. S. A., Das S. S., & Islam F. (2013). Seed Growth and Seed Quality in Dipogon Lignosus(l.) Verdc. Bean. Legume Research. 36, 380–386. Reported to take 2-3 years to reach sexual maturity (Victorian Invasive Plants). It survives more than one growing season, but some gardeners use it as an annual rather than a perennial. Flowering takes place 3 to 4 months after germination (Plantz Africa). Time to first flowering. 2+ years (FloraBase: The Western Australia Flora). Estimates for flowering range from 3 months to 3 years, but these still are precocious, and validate a yes answer. Flowering occurs during spring and summer (i.e. from September to January) (Weeds of Australia Biosecurity Queensland Edition). In Australia, flowers Sep to Dec or Jan. Flowers occasionally in Aug and Dec, but regularly Sep - Nov; fruits regularly Oct - Feb, with occasional fruiting Aug-Sep and through to March (FloraBase—the Western Australian Flora). Commonwealth of Australia, Western Australian Herbarium, Department of Parks and Wildlife (0). FloraBase—the Western Australian Flora. Seeds are forcefully ejected several meters when ripe and dispersed by birds. Occasionally in trade the seeds are naturally dispersed by water and possibly by ants. Unknown specifically how far the seeds may be dispersed but being dispersed by birds and by water it is very likely that seeds will be dispersed more than 1 km (Victorian Invasive Plants). Birds can spread seeds when the plant is used as nesting material, and it is thought that the seed can also be carried by water. Particular problem along road and track sides, open scrubland, forest margins and along riverbanks and streams (Weedbusters). Birds are the most likely long-distance disperser of this species. Occasionally in trade the seeds are naturally dispersed by water. Unknown specifically how far the seeds may be dispersed but being dispersed by birds and by water it is very likely that seeds will be dispersed more than 1 km. The species is reported to invade riparian vegetation but no impact on water flow is reported (Victorian Invasive Plants). Once ripe, the seed is explosively flung out of the pod, falling far from the parent plant (Plantz Africa). Birds can spread seeds when the plant is used as nesting material, and it is thought that the seed can also be carried by water. Particular problem along road and track sides, open scrubland, forest margins and along riverbanks and streams. Seeds drop near parent plants, but most is spread in dumped vegetation or soil and also by sea or fresh water. Gardens, roadsides, vacant land and hedges are all common sources (Weedbusters). While the potential for long-distance dispersal by water exists when growing in riparian areas, an exhaustive Google/Google Scholar search did not reveal any compelling evidence of this happening on a regular basis and the question defaults to a “no” answer at this time. No morphological adaptations exist for wind dispersal, and no information was found on whether or not seeds float. Dipogon lignosus has been in New Zealand for over 100 years. The majority of sightings were in rural areas especially along roads. It occurs throughout Northland. The practice of mowing roadsides is a likely major vector of its spread (Watch for these weeds: public help in weed led programs in Northland, New Zealand). Once ripe, the seed is explosively flung out of the pod, falling far from the parent plant (Plantz Africa). Birds can spread seeds when the plant is used as nesting material, and it is thought that the seed can also be carried by water. Particular problem along road and track sides, open scrubland, forest margins and along riverbanks and streams. Seeds drop near parent plants, but most is spread in dumped vegetation or soil and also by sea or fresh water. Gardens, roadsides, vacant land and hedges are all common sources (Weedbusters). Birds and gravity are the most likely and frequent mechanisms for dispersal, and this species does not have any morphological adaptations for this kind of dispersal. An exhaustive Google/Google Scholar search also did not reveal any additional evidence of this and the question defaults to a “no” answer at this time.